Rapper known as one half of the hip-hop duo The Cool Kids with Sir Michael Rocks. He released his debut solo album Convertibles in April of 2014 after half a dozen mixtapes with The Cool Kids. He met Sir Michael Rocks in 2005 after he discovered Chuck's myspace account. The two began recording music together and not long after he was promoting it around Chicago. Songs by The Cool Kids have been featured on video games like NBA Live 08 and Need for Speed Nitro. He was born Evan Ingersoll in Mount Clemens, Michigan. 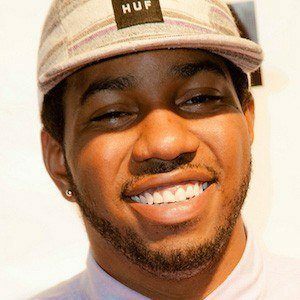 He has collaborated with dozens of popular artists like Chance The Rapper, Mac Miller, and Action Bronson.